Some girls truly do have it all! 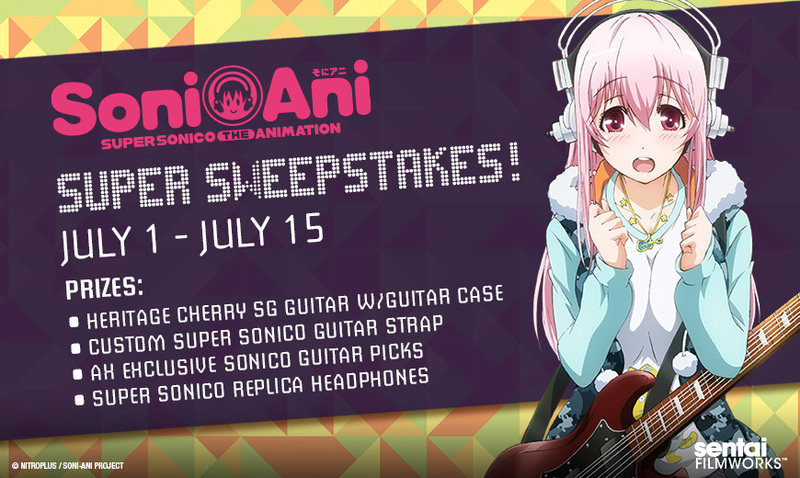 This especially holds true for Super Sonico: Beauty, brains… and, er, a band! You watched as these girls with guitars kicked out the rock-n-roll jams in style. Now, we’re giving you a chance to be a part of the band! Check out these spectacular prizes! If you're at Anime Expo be sure to catch Jessica Nigri cosplaying as Super Sonico at our booth (1301) on Saturday, July 5th!